Don’t expect the Governor to do anything about Bill Sorrell | The Vermont Political Observer. Went to Governor Shumlin’s news conference today, planning to ask about the Bill Sorrell situation. Which, as you might recall, featured Our Eternal General facing questions about possible campaign finance violations (and VTGOP Vice Chair Brady Toensing formally requesting an independent counsel), and Our Eternal General assuring us all that Our Eternal General is above reproach and an independent probe would be a waste of money, Trust Me On This. And a couple days ago, I rhetorically asked the state’s top elected Democrats what they planned to do about it. The answer from Governor Shumlin? Nothing anytime soon. Maybe nothing ever. Because he’s just too busy doing the people’s business. I threw out the first Sorrell question: Does the Governor think there should be an independent counsel to look into the allegations? You know, as you can imagine, I am really focused on trying to get my agenda through the legislature. It’s the most ambitious agenda that I’e set out. And these things have to succeed. Balancing $112M budget shortfall. Getting out of hear with a clean water bill that actually cleans up our polluted waters. Making sure that we finally address both the cost and quality issues in our education system. Getting out of here with my energy bill. That’s what I’m focused on. I have not had a chance to read the complaint. When the Legislature is all done, I suppose I’ll have time to do that, but I’m focused on my job. 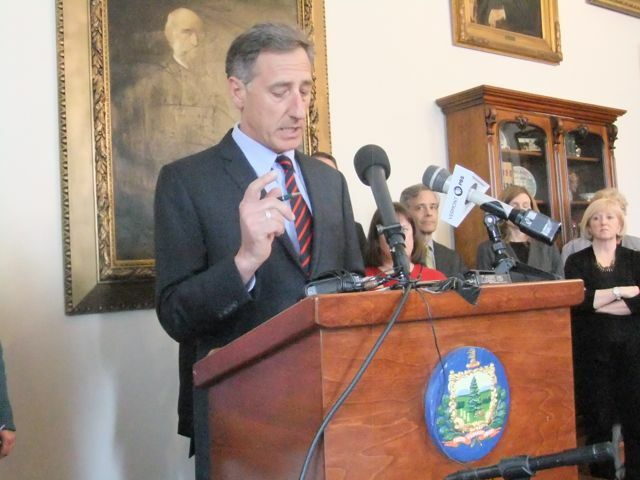 Even by Shumlin standards, that was a rapid-fire pivot away from the question at hand. I followed up by asking if it was a good situation to have the Attorney General unilaterally deciding whether he should appoint an independent counsel to investigate himself. And here, Shumlin gave us a bit of a civics lesson. Well, I don’t think that’s how the system works. I think that if there werre really a challenge, if people felt that there was a problem, the Attorney General would want someone to look into it, and there are two folks who have the authority. One is the Governor, and the other is any of our elected State’s Attorneys. Hmm. Interesting. Hard to imagine a State’s Attorney taking such a drastic step, unless there’s a Republican willing to risk their career. TJ Donovan sure as hell ain’t gonna do it, having once challenged Sorrell on the campaign trail and perhaps gearing up for a second attempt. I could. So could the state’s attorneys. But as I said, I have not had an opportunity, nor will I until the legislature adjourns — I am focused on what I was hired to do, which is to make Vermont’s economy work for all Vermonters, and that’s what my agenda will do, and that’s what I’m focused on. More Drinking Game fun. We’d all be passed out by now. Terri followed up: “What would it take for you to appoint someone? A complaint from a Republican Party official? What would trigger action on your part?” Aww, she gave him an easy out. I suspect that all Vermonters join me in feeling that when you have complaints from leaders of either the Republican or Democratic Party, you view them with a certain sense of scrutiny that you might not apply if it were not as partisan. Oh Lord, the old “me and Vermonters” thing. Also, nice of him to kick the Progs to the curb. The AP’s Dave Gram then pointed out that in addition to Toensing’s complaint, “we also have some newspaper reporting by Seven Days and the New York Times on the subject.” Which is true; Toensing’s complaint is largely based on reporting by Paul Heintz. 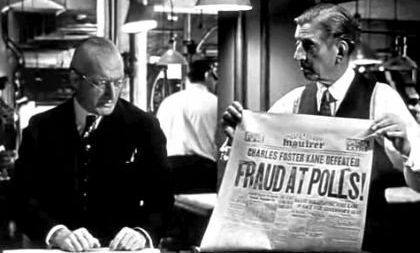 I haven’t read any New York Times articles on the subject. Congratulations, Paul! The Governor reads your stuff. And then Shumlin slammed the door. Uh, you know, I think I’ve said all I can say, which is that I haven’t had an opportunity to focus on this. I’m focused on trying to get my agenda through the legislature, and that’s what I’m going to do. To sum it up: Shumlin doesn’t want to deal with this during the session. He’d like to dismiss it as pure partisanship. Reading between the lines, he’s hoping the whole thing goes away by the time they hand the Statehouse over to the tourists. This entry was posted in Bill Sorrell, Campaign finance, Peter Shumlin and tagged Brady Toensing, Dave Gram, independent counsel, Paul Heintz, Terri Hallenbeck, TJ Donovan on April 21, 2015 by John S. Walters. On the other hand, TJ was at the “give convicts a chance” presentation, supporting the Gov. And Eternal-Surgeon-lousy litigator-alleged campaign finance hypocrite-General Sorrell* was conspicuously absent from the background line-up. Sheesh, I feel like we’re in the Soviet era, reading presence, absence, proximity, and access to the microphone as clues to what’s really happening. My sense is that the Dems just want Sorrell to go away without having to open fire on one of their own. The question is, will Sorrell take a hint? Even if delivered by a 2×4?